Welcoming Socrates Fernandes to Aramtec! Socrates joins our sales team based in Auckland as our new sales & design engineer. Armatec Environmental Ltd's Sales Manager, Shane Pope is branching out, to the UK. Odour and the Human Nose Instruments for sensing odours have made great strides in recent years, but they still lag well behind the human nose. 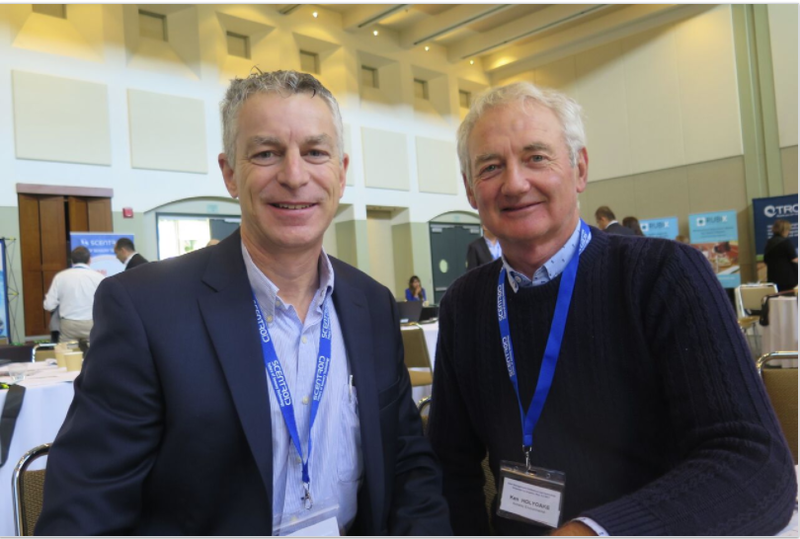 At the 2017 Odour Management Conference in Los Angeles attended by Armatec’s Managing Director Ken Holyoake were the latest developments in odour instrumentation. This included laboratory and field olfactometry, GCMS, and a large range of sensors for individual compounds. This space is changing rapidly and Armatec is keeping up with developments to bring to our customers. However the human nose still remains the most complex sensor for odour. Human Nose AKA Odour Sensing Device Did you know our human nose has over 1,000 sensors, and is far more sensitive than any instrument yet developed? The process of odour detection in humans involves absorption of the odour molecules into mucus, then a chemical reaction with a nose sensor, and a resulting electrical signal is sent to the brain to interpret and respond. When we are born we have no knowledge of what is a bad odour and what is a good odour. Good & Bad Odours With experience we learn what is good and bad to smell and our brain develops a database of memories for understanding future odour events. In this manner bad and poisonous gases are typically detected at very low concentrations by the human nose (low odour thresholds) and the human responds appropriately with for example, 'flight or fight response' in order to survive. Conversely good odours such as from food attract humans and animals for obvious reasons. Odour evaluation by humans is therefore a psychological response and not a purely physical one. Nuisance Odour Because odour sensing develops over a lifetime, odour perception varies from individual to individual. Odour perception depends on an individual’s sensors, past experiences, and sensitivities. In this way odours can readily be a nuisance, and can affect the physical health, psychological health, and induce social and emotional affects in our communities. While the effects are different for different people, the need to address nusiance odour to protect our population and environment remains. Reducing and Detecting Odours Armatec Environmental Ltd’s role in this field is to contain and control odours released from physical processes and sites. The result - reduced odours to less than nuisance level outside a plant’s boundary. Therefore Armatec and its customers need instrumentation to quantify odours and the effectiveness of odour control measures to provide performance data and an agreed measure. One common example is hydrogen sulphide gas detectors, for which Armatec recommends Acrulog. 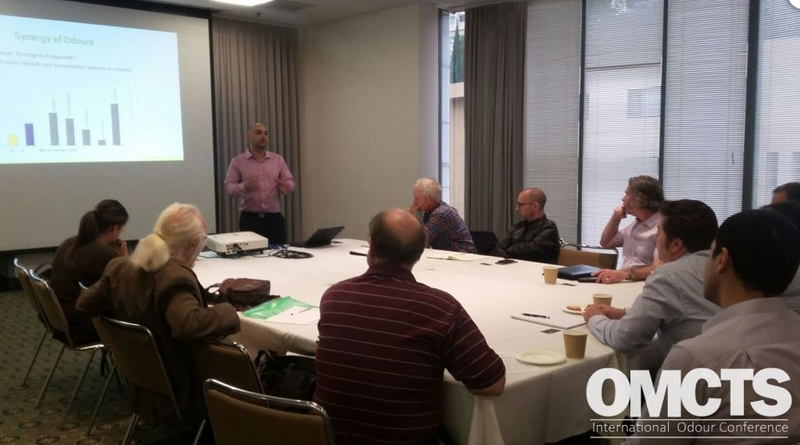 The OMCTS 2017 Odour Management Conference brought together leading companies, consultants, researchers, Councils, and more in Los Angeles. Armatec's Managing Director Ken Holyoake attended the Conference, odour workshop and a site visit to an odour treatment facility run by the Los Angeles Council. The conference confirmed that Armatec's odour control solutions using biotrickling filters and carbon beds are align with the best in the world.